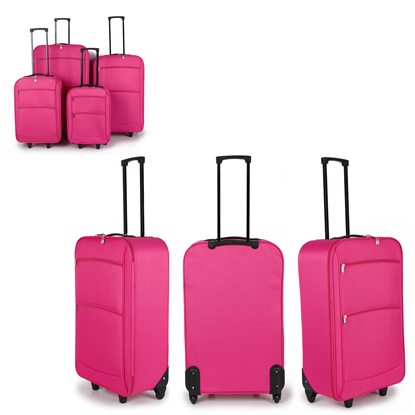 "Tourer" lightweight four piece trolley case set comprising 32inch and 28inch plus 22 inch and 19inch cabin sized cases. 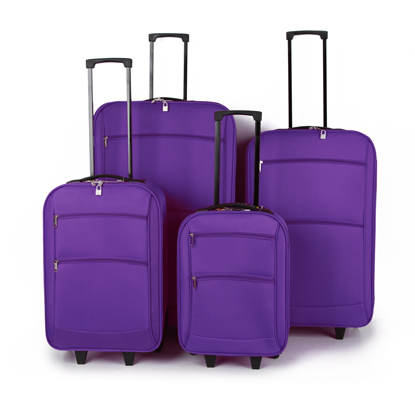 Cases have fully lined interiors with restraining straps and zipped internal pocket. Features include EVA front panel, internal telescopic trolley system with in line skate wheels and two zipped front pocket. Cases come complete with padlocks.